Lisa commenced her career in 2001 at Graspan Colliery Coal Mine in Middleburg, South Africa as an Accounts Assistant. She subsequently became private secretary to the Finance and Managing Director. Her role comprised all secretarial tasks as well as undertaking basic accounting tasks. Upon the sale of the mine Lisa left with the Directors to continue her role in their new investment company where she was promoted to Office Manager. Lisa moved to London in 2008 and worked at the Prince’s Foundation for the Built Environment as a Team Assistant, organising the Enquiry by Design Workshops. In 2009 Lisa moved to Network Rail in the Route Planning Team where she looked after a team of 93 people. After promotion she worked for the Property Investment Development Team as team PA, supporting the surveyors in many tasks, including assisting with project management on the development of the Waterloo Balcony and King’s Cross Station. She also managed the investment of Left Luggage facilities for the 2012 Olympics. Her duties also comprised managing the project budgets for the investment projects and securing the investment from the property board for station and roadside advertising at Network Rail managed stations. Lisa subsequently joined the Crossrail project as Reporting and Performance Analyst for all cash-funded works. 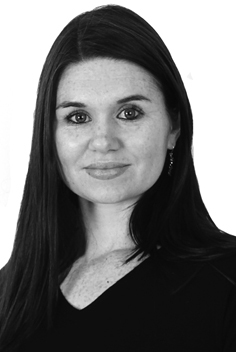 Lisa joined Caisson in September 2014 as PA for the Acquisitions Team, and is fluent in Afrikaans.